The New Forest National Park is located in south-west Hampshire, close to the south coast. It contains a magnificent variety of scenery, whilst the land within the ancient New Forest boundary is virtually unique in modern Britain - an ancient hunting ground with many special characteristics that have survived largely intact. 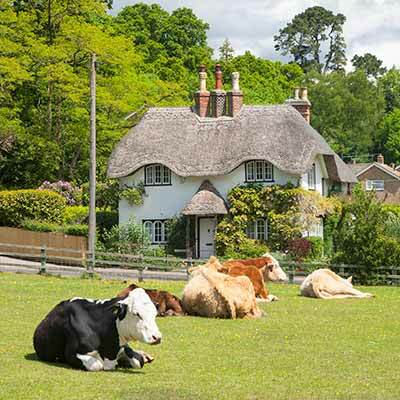 Experience the unique qualities of the New Forest where Commoners' ponies and donkeys wander along many of the village streets, and so occasionally do pigs and cattle. Enjoy a stroll through beautiful landscapes and visit the local villages for a wide choice of restaurants, cafés, tea rooms and, of course, pubs - be sure to check out our New Forest pub guide. The New Forest is an ideal destination for day visits, weekends and longer holidays, whilst historic towns and cities are also relatively nearby; and so are safe, sandy beaches. 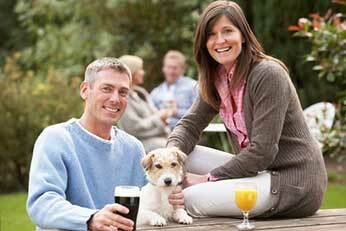 Our Days out guide will help you plan your activities and the What's on pages have details of lots of local events. The New Forest offers marvellously unrestricted access for walking using many miles of gravel tracks and countless other little-used paths. (Take a look at details of seventeen New Forest walks). Cycling also provides a wonderful experience for all - eleven New Forest cycle rides are included here, virtually all of which are also suitable for walking routes. New Forest wildlife is of international importance. 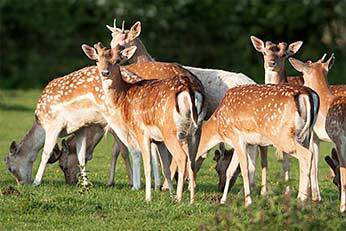 Fallow deer can regularly be seen, including the wild but relatively tame animals at the Bolderwood Deer Sanctuary. Look out, too, for red deer, roe deer and sika deer; and a wealth of birds, butterflies, colourful dragonflies and damselflies, fungi and wild flowers. Use our New Forest wildlife guide to discover what you are likely to see. The New Forest coast is well worth a visit, too. 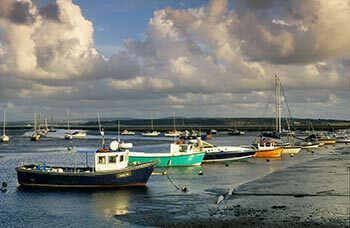 Who can fail to be impressed by its wild, relatively untamed landscapes of dramatic skies and racing tides; abundant wildlife; fascinating history; varied walks and stunning views across the Solent to the Isle of Wight? And then there's the old town of Lymington with its many striking Georgian properties, pubs, cafés, restaurants and tea rooms, a busy Saturday market, the Isle of Wight ferry terminal and a bustling quay. 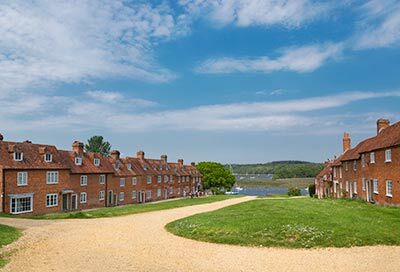 Along the western boundary of the National Park is the Avon valley dotted with historic towns, such as Ringwood and Fordingbridge, and a host of charming villages. 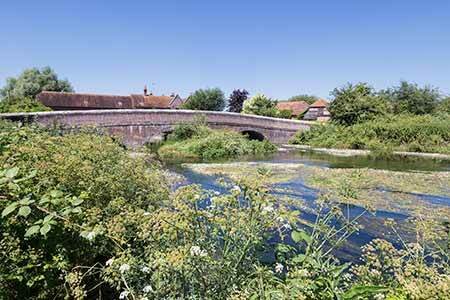 And, of course, the wildlife-rich, picturesque River Avon flows through on its way south to the sea. Evidence of a long and varied history can often be found in this aged landscape. 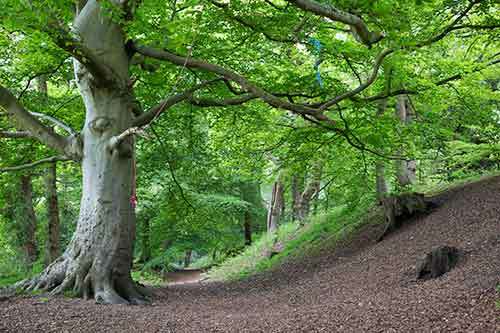 Look out for Bronze Age barrows, Iron Age hill forts, medieval deer parks, woodlands used to supply Royal Navy timber, Second World War airfield sites and much, much more. Check out our History and heritage guide to instantly be transported back through the years.